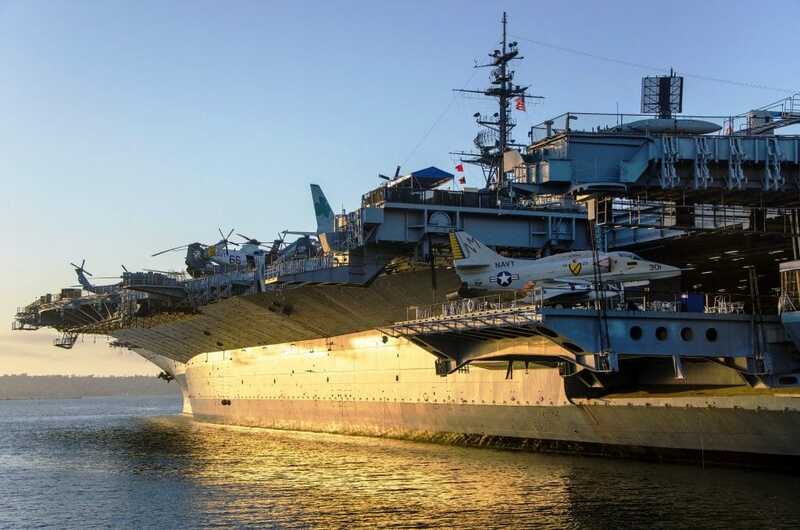 Explore the USS Midway, the longest-serving U.S. Navy aircraft carrier of the 20th century! Imagine living aboard a floating city at sea with 4,500 shipmates, by exploring galleys, officer’s country, sleeping quarters, and the 4 acre flight deck. Admission includes a self-guided audio tour to over 60 locations from the engine room to control tower, narrated by Midway sailors who lived or worked in each. Family-oriented activities for all ages abound! Check out the audio tour, climb-aboard aircraft and cockpits, walk through helicopters, ride three types of flight simulators, climb into the bunks, sit in ejection seat theatre, listen to real pilot conversations during Desert Storm. This is one of the "can't miss" attractions in all of San Diego! Enjoy a private guided tour of one of San Diego's most visited attractions with a private tour guide! 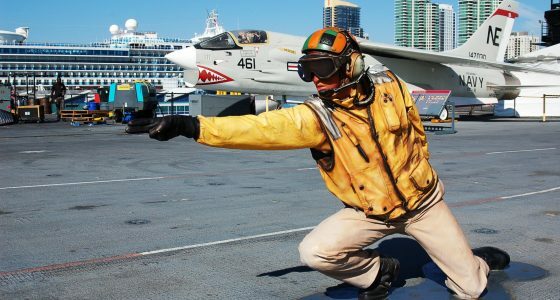 The USS Midway Museum is a real naval aircraft carrier that offers a once in a lifetime opportunity for everyone. Guests of all ages can enjoy 60 exhibits highlighting this “city at sea” plus 29 restored aircraft that flew off of her. Explore galleys, officer’s country, and the sleeping quarters of a 69,000 ton warship. Naturally this beautiful ship is located here in Navy Town USA! 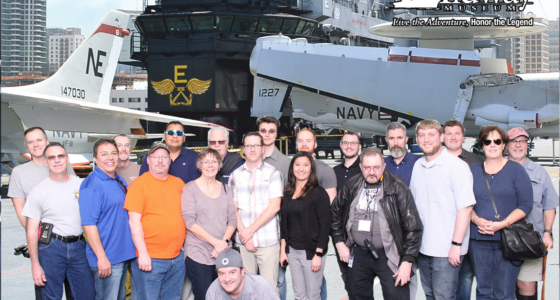 Experience the magic and history of The USS Midway on this VIP Tour. Prepare yourself for a lifetime memory aboard the USS Midway Museum. You will explore a floating city at sea and relive nearly 50 years of world history aboard the longest-serving Navy aircraft carrier of the 20th century. Admission includes a self-guided audio tour to 60 exhibits throughout the historic aircraft carrier and 29 restored aircraft. Exhibits range from the crew’s sleeping quarters to a massive galley, engine room, the ship’s jail, officer’s country, post office, machine shops, and pilots’ ready rooms, as well as primary flight control and the bridge high in the island over the flight deck. Especially popular are the museum docents you’ll meet throughout the ship. Each is eager to share a personal story, an anecdote, or amazing statistic, adding to your amazement throughout your adventure. Family-oriented activities for all ages abound: two types of flight simulators, music videos, short films, climb-aboard aircraft and cockpits, interactive exhibits, “Ejection Seat Theater,” and much more. Enjoy admission tickets or a private guided tour of one of San Diego’s most visited attractions. We invite you to literally climb inside the history of the USS Midway and experience this amazing vessel with us.